Now that you've finally seen Star Wars The Force Awakens you've probably got your new favorite characters all listed out from best to least best (but still great). Yep, we're right there with you. One of our top picks? Gotta be Captain Phasma. We didn't learn nearly enough about her, but we are intrigued to say the least. 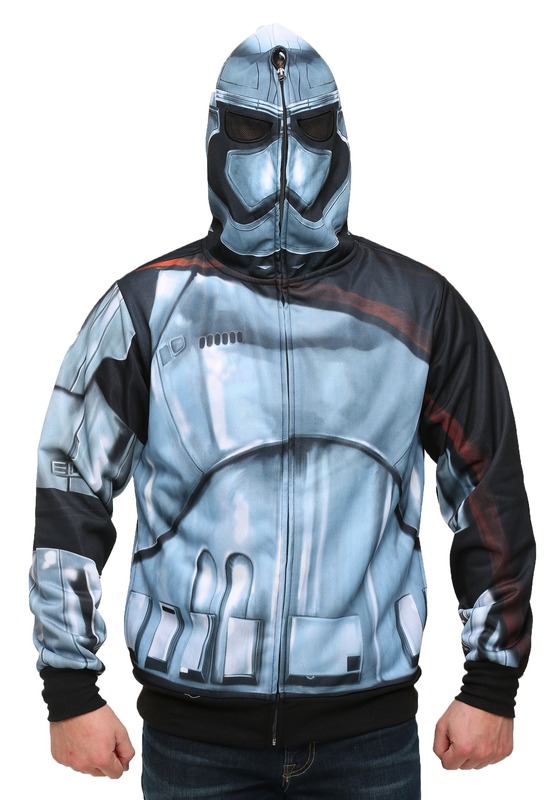 That's why we got this Men's Star Wars Episode 7 Captain Phasma Hoodie! It looks just like the enigmatic First Order trooper, but it's far more comfortable than the cold metal she wore in the movie. This is delightfully soft and looks just like the character from the hit film. 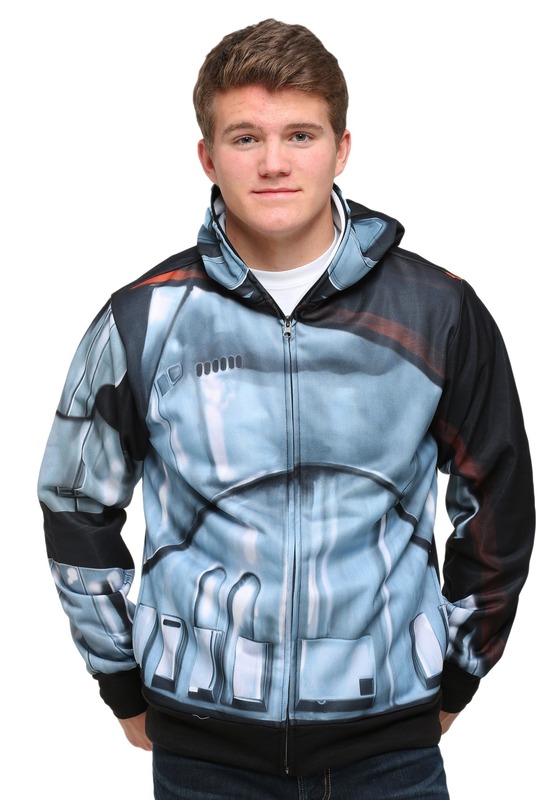 Hood is shaped funny, but otherwise nice hoodie jacket.